← DIY Small Bathroom… Bigger! Bliss is an excellent brand, and I am a fan of so many of their products! As some of you may know, they are not the cheapest brand for sale out there, so to find a DIY for a dupe of one of their products is just grand! 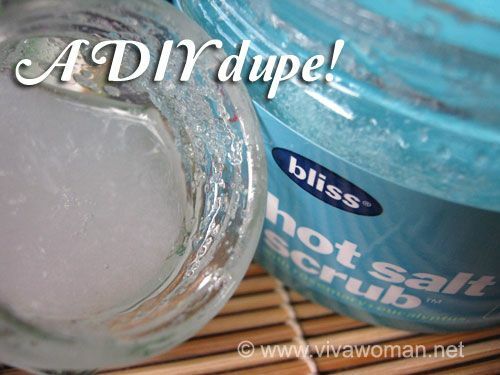 This scrub is pretty coarse, so please, please, please do not use this on your face! Visit Viva Woman to see the recipe!